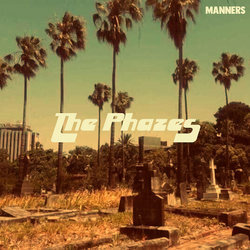 Based in Sydney's famed northern beaches, The Phazes bring a unique, summery twist to what would be more traditionally a New York rock sound. Produced by Birds Of Tokyo's Ian Berney and led by the elegantly smooth voice of Hayden Byrnes, The Phazes deliver the quintessential banquet of searing riffs, stomping beats and huge, sing-along vocal hooks. New single Control My Radar is a perfect slice of upbeat indie rock that allows the full personality of the band to burst through. With its irresistible guitars and boisterous chorus, it is a pitch-perfect modern classic, tailor-made for today's demanding radio listener. Already, The Phazes have been swathed in glowing reviews, praising everything from the technical aspects of their thoughtfully-written songs, to the intangibles: that inexplicable magic we all know as 'vibe'. The band's triple j Unearthed page is a veritable constellation of four and five star reviews, with the unanimous consent being that The Phazes have that extra special something, and have it in spades.